In order to add more seats to its upcoming order of Boeing planes, American Airlines needs to shrink legroom in its coach section. It sounds like American Airlines' economy class is about to get a bit more cramped on some of its planes. CNN was the first to report the airline is shrinking legroom on its new Boeing 737 Max jetliners in order to add more seats. It all has to do with something called seat pitch, which is the distance between a point on one seat to the same point on the seat in front of it. On average, there are 31 to 32 inches of pitch on American Airlines' planes. These new Boeing jetliners will shrink that down to 30 inches for most of the economy class. Three rows will shrink down even more to 29 inches. An airline spokesman, who confirmed the news to Skift, is remaining optimistic that some passengers might not even notice the change in space. "The seats we'll use on the Max are designed to maximize personal living space, while allowing more comfort, even in arrangement like this where the pitch is a little tighter," the spokesman said. This legroom change would allow American to add at least 10 more seats than it has on its current set of Boeing 737 planes. That 29 inches of pitch puts American more on par with low-cost carriers like Frontier Airlines and Spirit Airlines. Both offer as little as 28 inches of pitch on their planes. CNN says American Airlines customers who are seated in the rows with the least amount of legroom won't get any extra discount. That doesn't sound too good for customer service. Airline industry executives — including one from American — were just grilled by federal lawmakers about the way they treat customers. 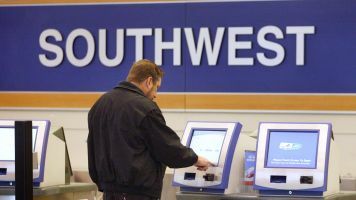 Members of the House Transportation and Infrastructure Committee even threatened federal regulation of the airline industry in the future if carriers don't improve their customer service. American has ordered 100 Boeing 737 Max airplanes. It's scheduled to receive the first of the planes later this year.